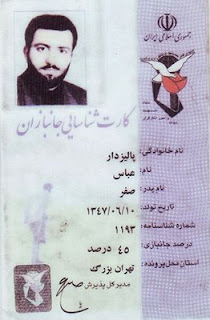 Pictures of a young Palizdar and his Janbazan[War Wounded] ID card. 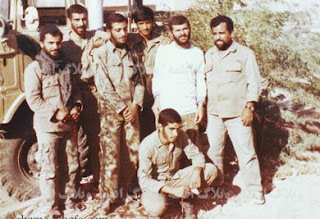 Palizdar volunteered for the war front to fight Saddam's war of aggression against Iran at the age of 14, but perhaps his greatest battle against the occupiers of our country lies ahead of him. why r u quiet on Batebi? There is only so many hours in a day! Batebi's escape from Iran has been covered by other news websites and he was on Tishk and VOA. I hope to meet him soon and then I will have something original about him rather than copy & paste stuff from other sites. But once again I am grateful to our friends in the Kurdish Democratic Party of Iran and Tishk TV. Wasn't it Khomieni's war of aggression? I mean, didn't his lackeys in Iraq try to assassinate Ba'athist officials as he incited for another Islamic Revolution in Iraq? You have even referred to the takeback of land from Saddam by the Khomeinist military as "liberation". I didn't know that the IRI provided the people with freedom! Yes Khomeini may have been meddling in Iraq and trying to export the Islamic revolution, but an invasion is when tanks roll into your territory and fighter planes bomb your airport and your people have to flee their homes from the invading army. Saddam invaded Iran and satrted the war, period. One could argue that the mullahs could have ended the war much sooner with more concessions, but Saddam invaded Iran first and hence Saddam's war of aggression. I don't know. As an American, I can understand Saddam's zero-tolerance attitude towards the terrorism of Khomeinist-run Iran! I mean, my nation has also felt the need to barge into other nations a la Afghanistan in order to fight terrorists. Still why do you consider the recovery of Iranian villages from Saddam by Khomeini's government to be liberation? In the same way that during the battle of Stalingrad, Hitler's defeat was a major turning point in the war. Although Stalin ruled USSR, one can not deny the heroism of the people in Stalingrad stopped the advance of Hitler. 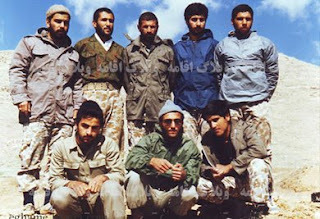 Those who liberated Khorramshahr, were not all Khomeini's troops, ordinary Iranians against all odds through their courage pushed back the foreign aggressors. It is not correct to compare invasion of Afghanistan and the fight against terrorism with Saddam's invasion of Iran. Saddam did not fight terrorism, Saddam was terror itself. Saddam also tried several times to move his troops across the Iranian border during the Shah, but the professional Iranian army always swiftly put him in his place. Saddamwas after the water way of Arvand-rood or what he likes to call Shatt-ol-Arab, nothingto do with fighting terrorism.